Thank you for visiting. Tickets are no longer available online. 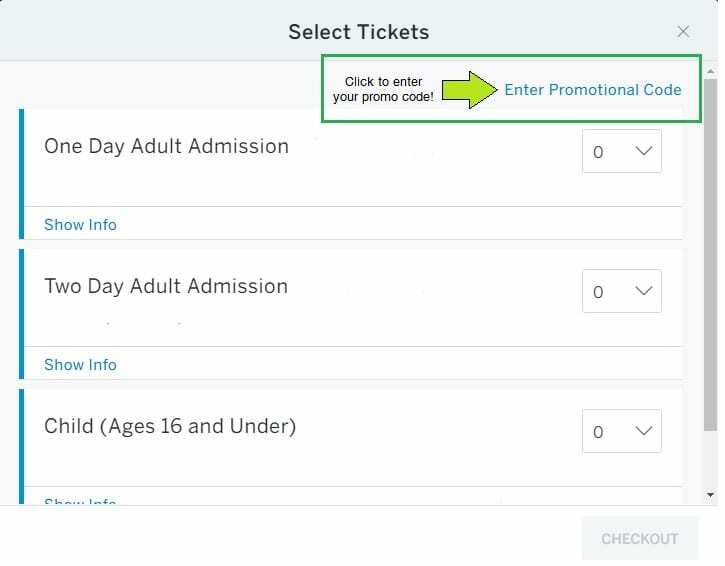 If you have a valid promo code, click 'Enter Promotional Code' on the ticket selection screen BEFORE selecting your tickets. Click here to see example. Discover endless vacation options at the #1 Series of Travel Shows in the U.S., the Travel & Adventure Show. Explore destinations from around the world, personalize your vacation with thousands of travel experts and save big with exclusive travel deals and show-only specials. Meet travel celebrities Peter Greenberg, Phil Keoghan, Jack Maxwell, Patricia Schultz and Johnny Jet, receive insider tips from travel professionals on three dedicated, complimentary theaters, and get a hands-on experience with activities fit for the whole family. Make the first stop on your next trip the San Diego Travel & Adventure Show – March 4-5 at the San Diego Convention Center. All sales final. No refunds of ticket costs or service fees. Solicitation of show exhibitors is strictly prohibited. If your code still doesn't work, please contact registration@travelshows.com for assistance. Where do I find the list of speakers and travel seminars schedule? How do I update my registration information or transfer my ticket to another person? You must bring your ticket to the event. Tickets may be printed or displayed on your mobile device (in the Eventbrite app). All sales are final. There are no refunds of ticket costs or service fees.